The waters of Karumba contain a variety of marine life; you can fish from the beach at high tide or from a boat at any time. Gee Dees have two 4.3-metre aluminium boats with 25 hp motors for hire. In addition there is a large self-drive BBQ boat, which requires no boat licence. Put together a group of family and friends to cruise the river, go fishing, crabbing, bird watching, croc spotting or just relax on the BBQ boat. Picnic packs are provided, at an additional cost, if requested. 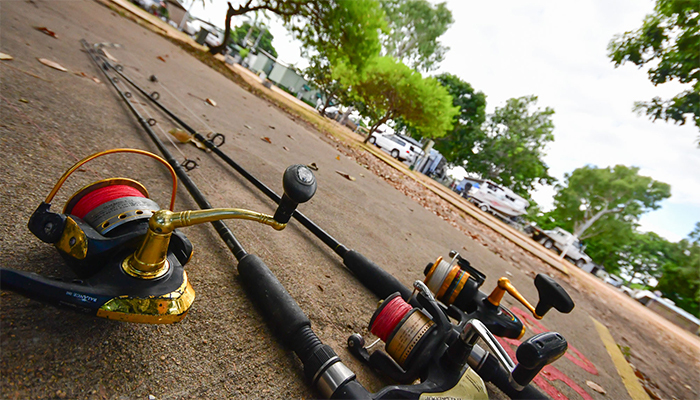 All boats are supplied with bait, ice, esky, fuel, cushions and canopy; they are launched and retrieved at the nearby boat ramp at the entrance to the Norman River. For those guests who would like to go on a fishing charter there are several local operators. Gee Dee’s are happy to assist with arrangements, which should be made the afternoon before. Full and half day charters are available.